what is LTI filter? 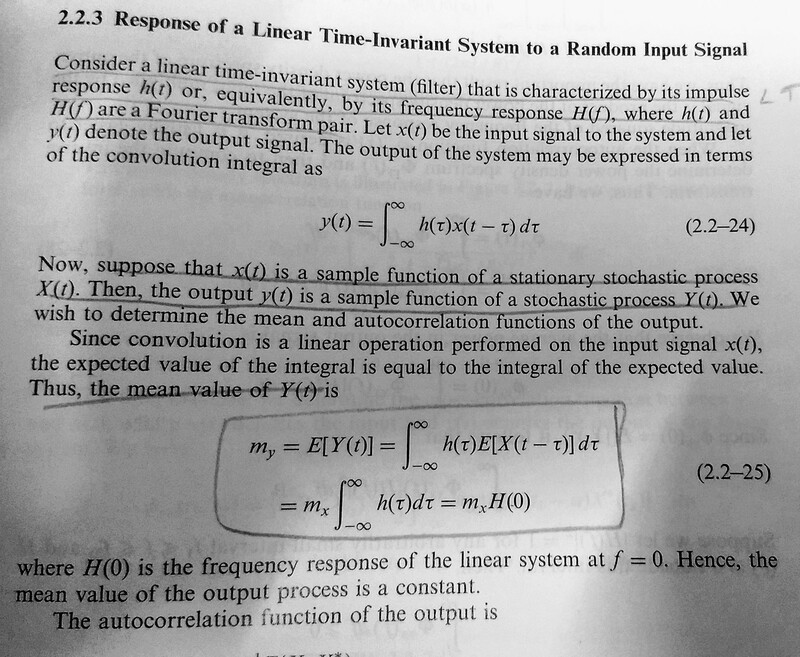 what is the output when x(t) is input? Why we are not taking average of h(t) also? How comes E(X(t-tau)) to mx? Not the answer you're looking for? Browse other questions tagged filters signal-analysis continuous-signals random-process or ask your own question. Is it possible to replace an integrator system with an equivalent differentiator?